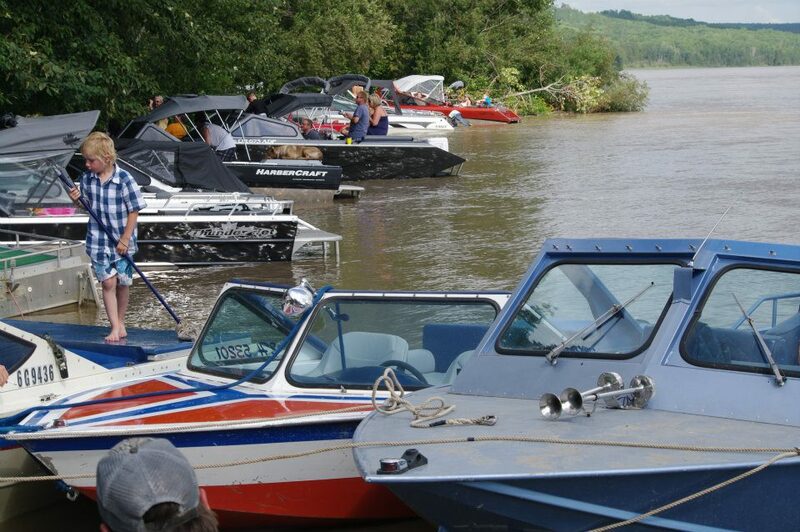 The 7th annual Athabasca Jet Boat Poker Rally is on July 11th 2015 (Saturday) Approx.. 80 mile run. As usual, live music,(country rock) Kids' scavenger hunt, great camping locations! Riverside Recreation Area) Supper plans TBA. Cash prizes for the top three hands, bonus prize for 1 boat owner, as well as lots of great door prizes. Once again we will be having a boat rodeo on Sunday July 12 if we get enough interest. We are growing every year! Last year's rally attracted over 50 boats! Help us make our 7th annual another great success! Once again this year we will be raising funds for local community organizations/charities. If anyone would like to sponsor a checkpoint to promote your product or group, or donate a door prize, please give us a call.